Color: BlackInset Logo in EVA3M Adhesive BackingSuper Thin Pad Base..
KP Bede Signature Tail PadClassic bullseye designOne piece pad14"/360mm longMoulded traction gripFlat arch20mm kick3M adhesiveLightech traction padSource: http://komunityproject.com/products/bullseye-one-piece-pad.. 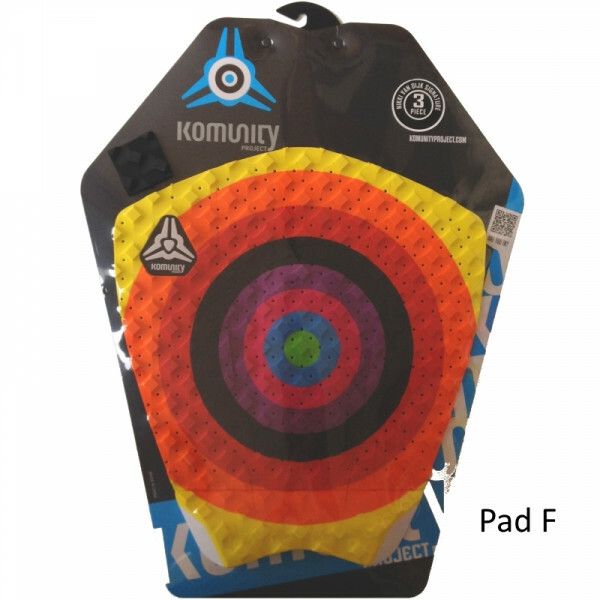 The Komunity Project Fish Tail Pad is specifically designed for Fish surfboards. 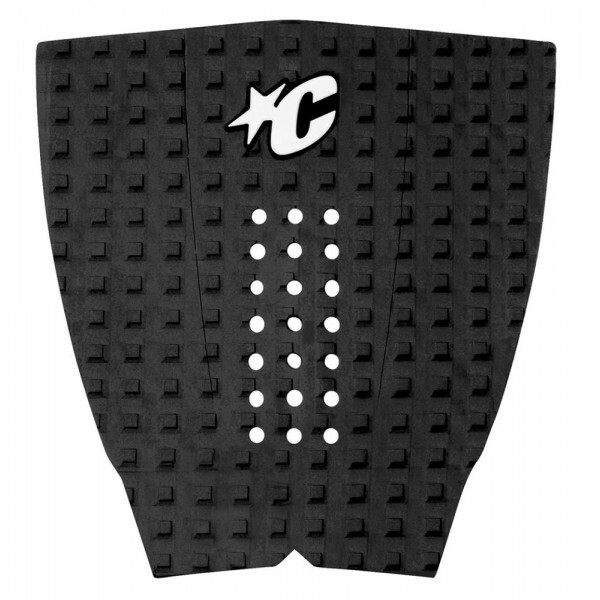 The pad consists of 5 pieces so you get great coverage. 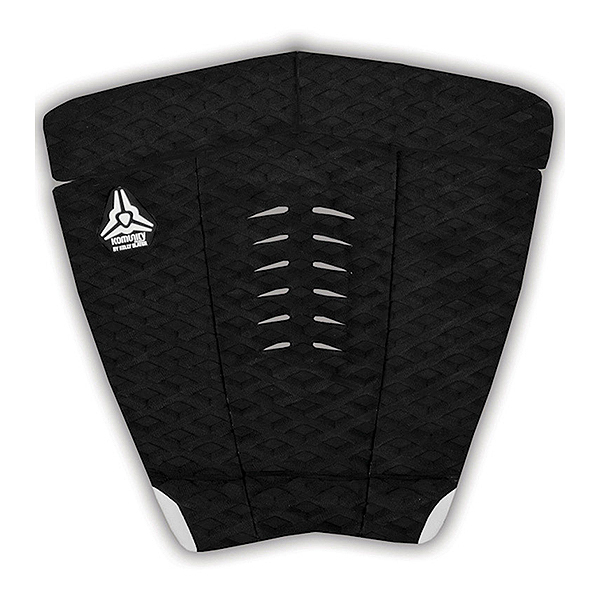 Three pieces make up the rear of the pad. These 3 pieces are functional as the two side pieces can be extended to get a perfect fit for your board. Two additi.. 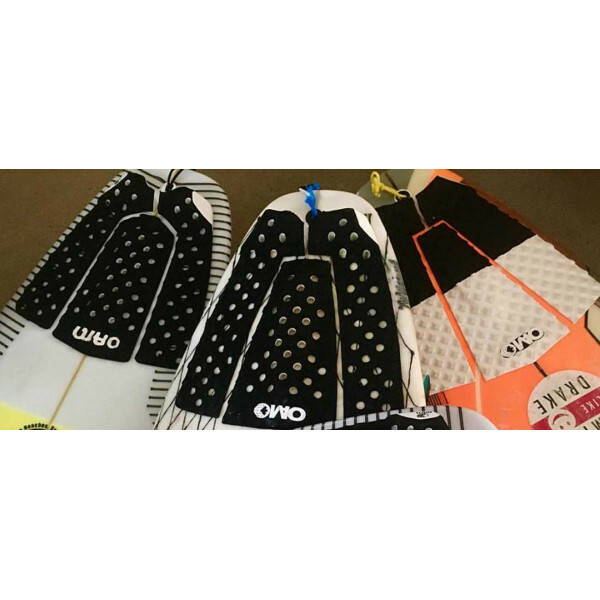 This is Nikki Van Dijk's signature surfboard tail pad - great girls rainbow colours and top notch spec.. Because the colour layouts vary on these we offer you an exact choice of pad, so you know precisely what colour lay-up you will get delivered!.. 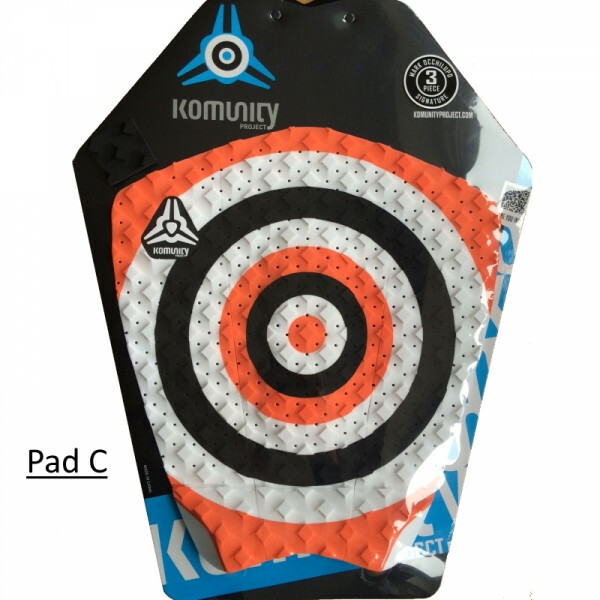 Komunity Project Occy Surfboard Tail Pad 3 Piece - 3 pieceMark 'Occy' Occhilupo's signature tail pad from Komunity Project. 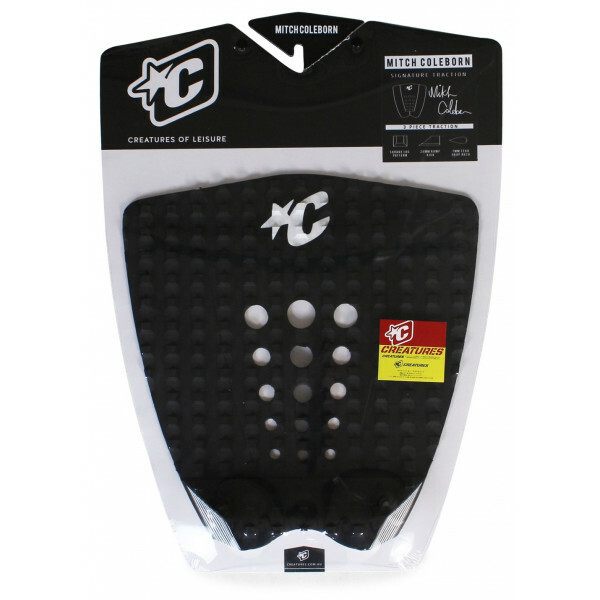 Features:* 3 Piece Pad* 34cm - 13.5 inch length* 6mm Arch* 11x Boost Tail Kick - 20mm high* Brushed EVA* Elevated Diamond Grip* Perforated pad to reduce weight and insure a gre..
Two piece pad13"/330mm longElevated square traction gripFlat arch25mm kick3M premium adhesive11X boost tail kick (hi-density EVA)Lightech traction padSource: http://komunityproject.com/simon-anderson-signature-1-piece-pad.. 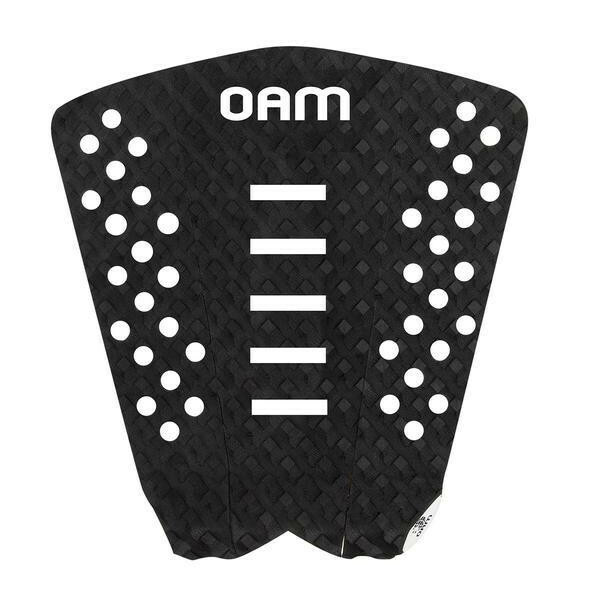 The OAM Alex Gray Pad has been designed, tested, and approved by Alex himself . 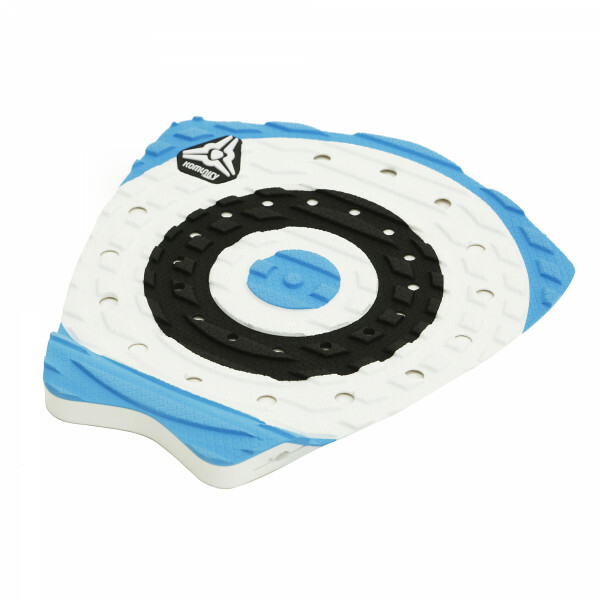 The thinner, lighter and grippier EVA gives this On A Mission Traction Pad the perfect feel. 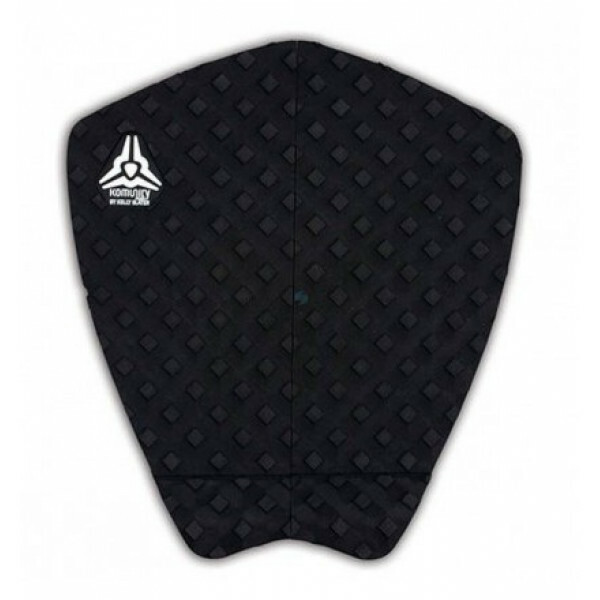 OAM also features a diamond grid pattern that consists of tiny 1/8" thick squares which rest on top of diamond shaped foundatio..
One of the most popular traction tailpads from OAM the On A Mission Cory Lopez Reverse Series Surf Traction Pad is an awesome all-rounder that suits a wide variety of short boards. 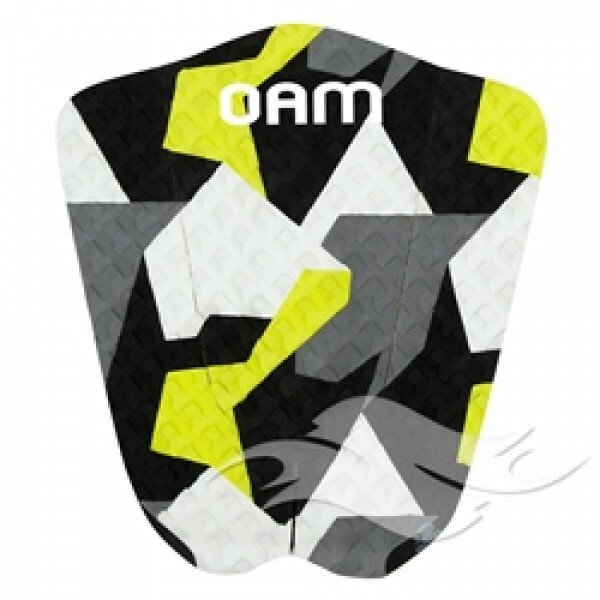 It‰ۡó»s part of the OAM Signature Collection Series, and features the patented OAM Animal Grip, a diamond pattern tract..
With a wide range of styles, everyone can find an On A Mission Tailpads to suit their style, board and performance level. ..